A former newspaper Staff Writer and frequent contributor to her hometown’s regional publication, Bakersfield Magazine, Delia has also freelanced projects to a public relations firm and various magazines. Many of her short stories, articles, and devotions can be found on various websites and blogs across the Internet. She designs book cover art and marketing materials for other authors. Samples of her work can be seen at heavenstouchdesigns.com. Would you sell your newborn baby for money to supply your alcohol addiction? That’s exactly what Jack Kelly does in Delia Latham’s book "Goldeneyes". Jack didn’t want kids, but his wife did. So after hearing a fellow worker talking about he and his wife losing their newborn, he decided to do something about his new family member. But of course Jack wasn’t man enough to admit what he did, so he told his wife the baby was kidnapped. Although Juliana Camden writes inspirational fiction, she is now answering mail from an advice column, which she finds very interesting. I liked the character of Juliana. She has such a caring heart and her advice to others shows the love and care she has for them. One particular letter from a young woman, who is afraid of losing her family as well as her heart, grips Juliana in a way no other letter does. Little did Juliana know she was in for the shock of a lifetime when she found out who this young lady really is. This story captured me from the very first page. Being hit with Jack’s admission to selling his own flesh and blood newborn baby grips your heart in such a way that you just have to find out what will happen to Jack as well as his little one. Delia Latham gifts us with well-developed characters who are so real and believable that you feel like you are right there in the story with them. The storyline itself keeps you on the edge of your seats, so much happens, with so many twists and turns, so that the excitement just keeps building until the very end of the book. 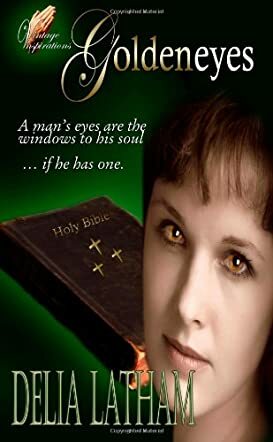 I highly recommend this Christian fictional thriller for you to read. You just can’t go wrong if you like good clean thrillers to read and enjoy. Truly one of the best books I have read.